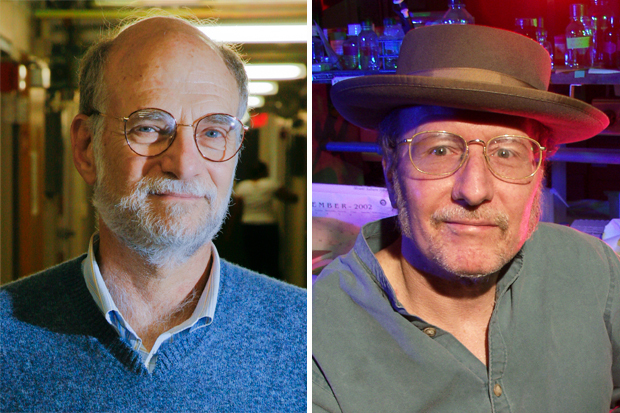 On Oct. 2, 2017, Michael Rosbash, the Peter Gruber Endowed Chair in Neuroscience and professor of biology, and Jeffrey Hall, professor emeritus of biology, were awarded the Nobel Prize in Physiology or Medicine for their discoveries of the molecular mechanisms controlling circadian rhythms, the inner biological clock that regulates almost all life on the planet. On Dec. 10, 2017, Brandeis' Nobel Laureates received the Nobel Medal and Diploma from King Carl XVI Gustaf in Stockholm, Sweden. Michael Rosbash was a guest on the popular game show in February 2018. Rosbash took the field before the April 11, 2018, Red Sox game. Why do we sleep, wake and eat when we do? 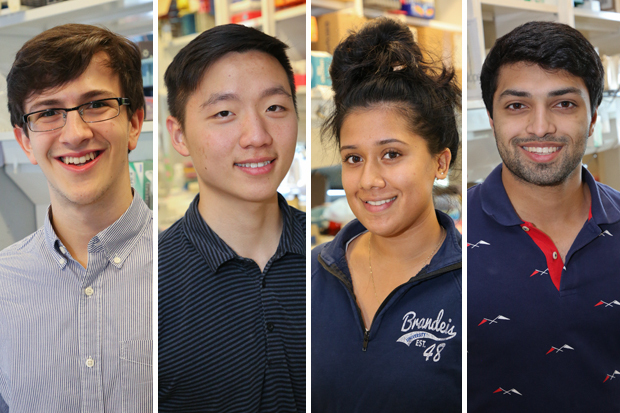 The Spring 2018 Brandeis Magazine covered the story of Rosbash and Hall’s breakthroughs. 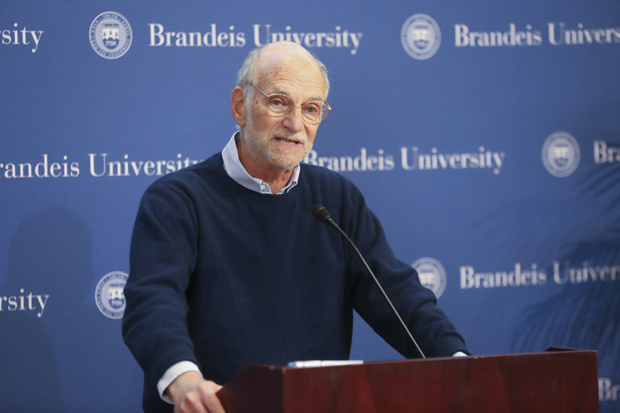 Rosbash discussed his Nobel journey as part of Brandeis’ inaugural Alumni Weekend in June 2018. On NPR's "Only A Game," Michael Rosbash and Jeff Hall recalled how a shared passion for the Red Sox and basketball helped propel their scientific partnership. Looking for a good book? Michael Rosbash shares his suggestions. 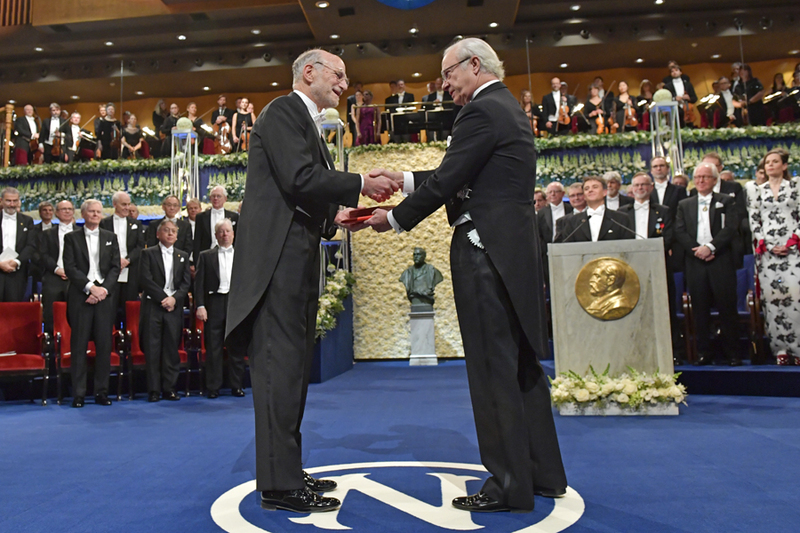 Michael Rosbash and Jeffrey Hall receive the Nobel Medal and Diploma from King Carl XVI Gustaf in Stockholm, Sweden. BrandeisNOW was in Stockholm to cover the events and excitement leading up to the Nobel ceremony. All hail the common fruit fly!